Sign seen in the car park at Stirling services today. I've never come across this method of payment for parking before! What if you don't have a mobile? That's a new one on me and like Mel said, what if you don't have a mobile! Very strange! Are you given an option of paying any other way? 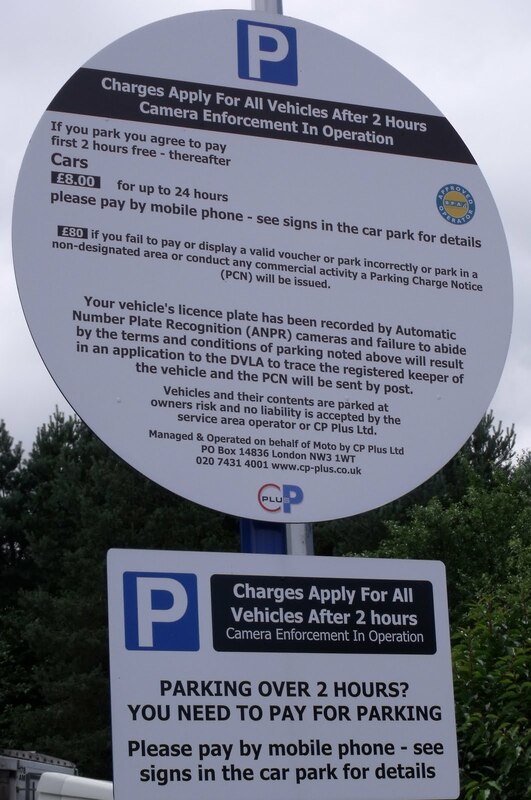 There are a few railway car parks in Essex that use mobiles for payment. I think they are operated by NCP. Useful if you have a mobile but aggrevating to set up payment and there is no receipt, so it makes it difficult if I have to claim for expenses. Stick to cash I say!